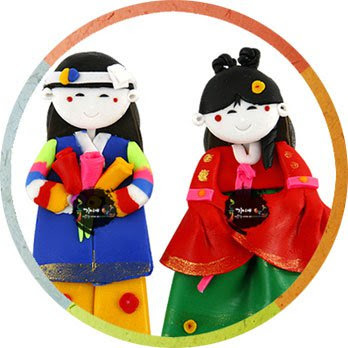 Korean Folk Art Couple Magnetic Memo Holders Color-mix PVC products are a modern representation of Korean skill and craftsmanship. The unique designs come from Korean traditional public morals and the style of living. All products are hand made, and will vary slightly from image. You can put them on the refrigerator or anyplace. Material: Color-mix PVC with magnet backing, Size: 2.6 inch, Packing: polybag. Various colors and styles. 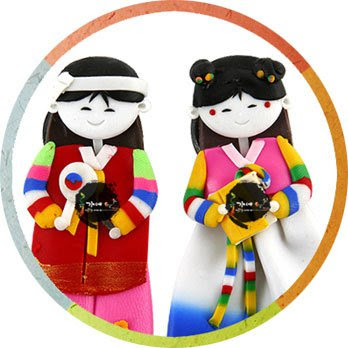 Korean Folk Art Figurine Mobile Phone Ornaments Color-mix PVC products are a modern representation of Korean skill and craftsmanship. The unique designs come from Korean traditional public morals and the style of living. 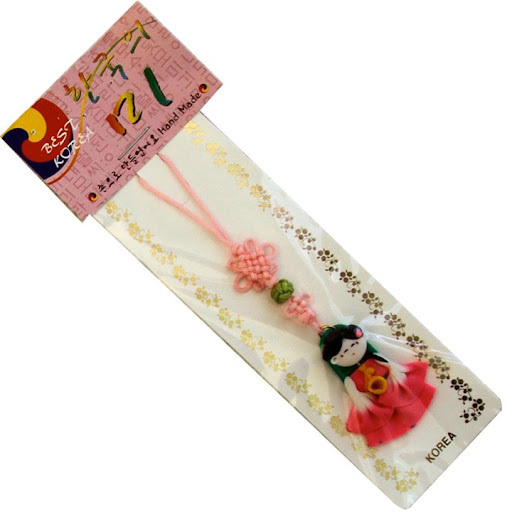 All products are hand made, with Korean decorative knot (매듭) at the top. Material: Color-mix PVC, Size: Phone straps 1.4 inch, Packing: polybag. 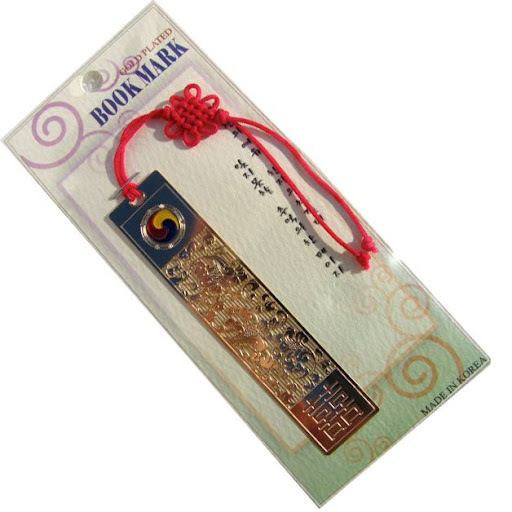 Korean Folk Art 24K Gold Plated Bookmarks 24K Gold plated Bookmark featuring intricate designs reflecting items of Korean cultural importance. They will give you good luck! Size: 1.18 by .57 inch, 24K Gold Plated with Korean decorative knot (매듭) at the top.